The Government of Saskatchewan is challenging the federal government in court over its plan to implement a tax on greenhouse gas emissions. Saskatchewan opposes the federal plan in part because it claims the economic costs of the carbon tax would be catastrophic. We took a close look at Saskatchewan’s analysis, and the numbers simply don’t add up. 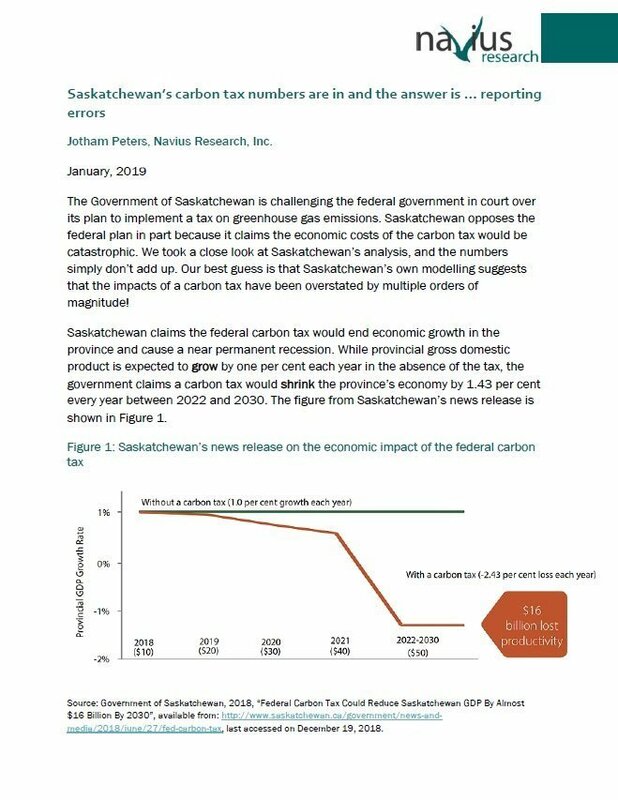 Our best guess is that Saskatchewan’s own modelling suggests that the impacts of a carbon tax have been overstated by multiple orders of magnitude! Their news release highlights that a carbon tax would reduce GDP growth by up to 2.43%. But their own supporting analysis appears to suggest a reduction of only 0.13% between 2017 and 2022.